Whether your choice is sartorially inspired—perhaps by Caroline Daur’s teddy coat above, even?—or you simply appreciate the comfort and layerability of a roomy, oversize winter coat, there's no time like the present to buy one. Especially, might I add, when the present is within the official first week of winter, and it’s been pretty cold (at least on the East Coast) for some time now. Whether your look is classic, eclectic, romantic, or menswear-inspired or, like mine, could be any of those on any given day, today I’ve rounded up the chicest oversize coats for not only every style but also every budget. No matter how you’re feeling both in terms of style and spending, I’m pretty sure I’ve got you covered. Shop my picks of the best oversize coats for the season below, and then check out the best ankle boots to pair them with when you’re done. This outerwear brand should definitely be on your radar for 2019. I love the look of a checked coat with suiting pieces under. On trend and perfect for layering with sweaters and hoodies. Color-block that feels very 2019. When you can't decide between black and white. 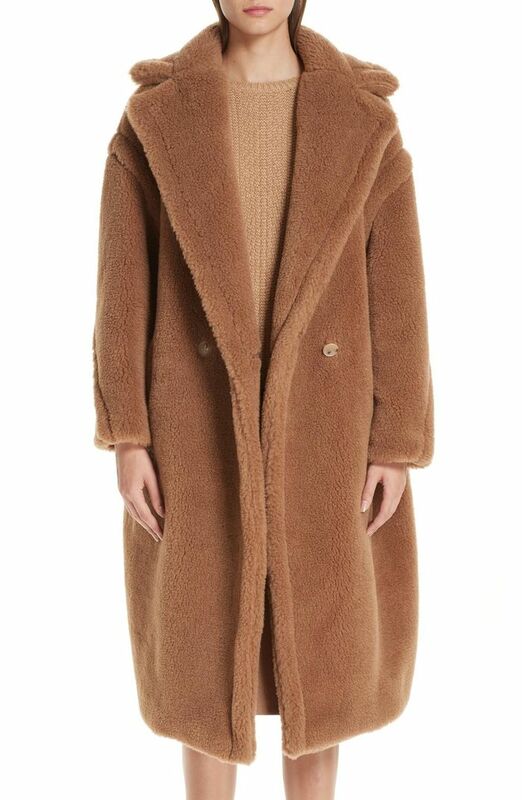 When it comes to teddy-bear coats, the bigger the better. Sometimes you just want to be a little extra. This would look amazing over a black turtleneck, black pants, and ankle boots. I can't stop staring at this entire outfit. Have I gone too far? Cause I'm kind of obsessed with this. Can this be my winter vibe? A little faux fur makes a big difference. The simple black coat, perfected. Herringbone is a classic style worth investing in. Dream everyday outfit right here! I want to wear this and literally never take it off. Every winter wardrobe needs a pop of red. Up next: Shop all my favorite ankle boots.